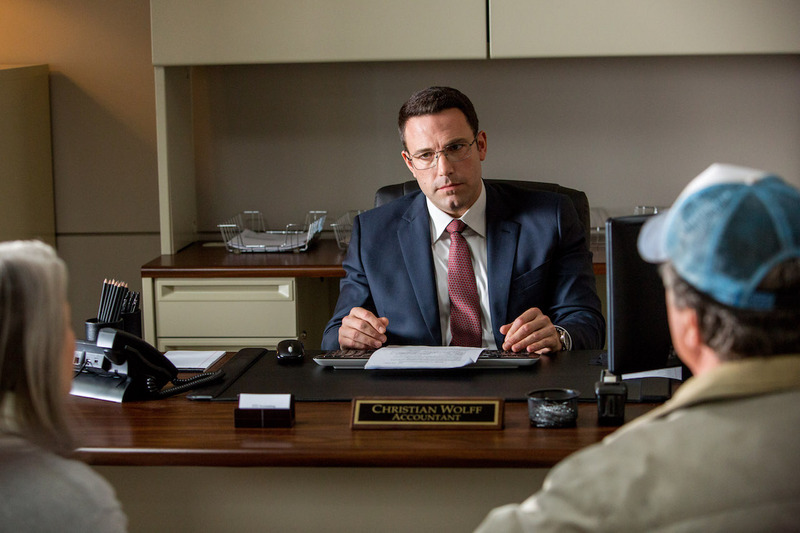 ‘THE ACCOUNTANT’ stars Ben Affleck as Christian Wolff, a man who’s diagnosed with a form of autism as a child. He grows up to be functional as a math whiz who can solve complex mathematical problems and finds more affinity in numbers than in other people. 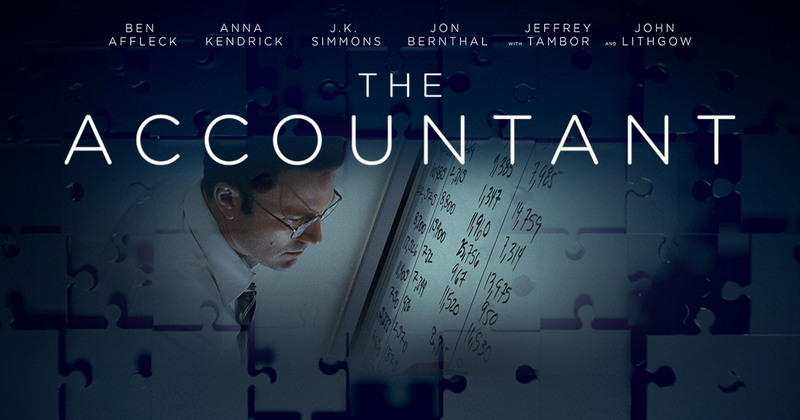 With his amazing skills, he grows up to be an accountant managing the finances of some dangerous criminal organizations, but he does this under the cover of a small town accounting firm. 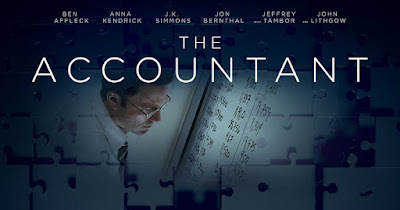 This called the attention of Treasury Department Agent Ray King (J.K. Simmons) who then assigns an analyst, Marybeth Medina (Cynthia Addai Robinson) to investigate him and find out what he is hiding. Christian then gets a legitimate client, Lamar Black (John Lithgow), who owns a very successful robotics company. He has to study their financial records and pin down a discrepancy involving an inexplicably huge amount of dollars. 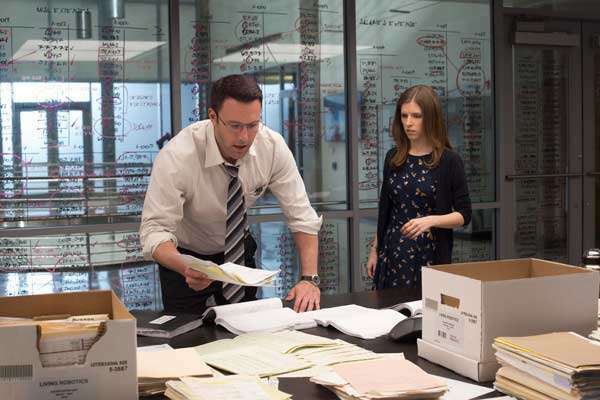 But what he uncovers proves to be dangerous to him and to the accounting clerk who’s assisting him, Dana (Anna Kendrick). Some quarters are not pleased that he uncovers the truth and hunts him down. It turns out that Christian has undergone martial arts and first rate combat training and is in a very good position to protect himself and the people he has learned to care for as a mercilessly efficient killer. The movie is unique and interesting in its having a hero who has autism in an action film. We’ve met autistic characters before, notably “Rainman”, which got an Oscar for Dustin Hoffman, but never this way. The movie does not just exploit this real life disability and Ben Affleck nails the cool emotionless character quite perfectly, giving a very solid portrayal in the fascinating title role of a man who has difficulty relating with other people even if he wants to. It’s so riveting to watch him does his methodical daily routines that is so OC (obsessive compulsive). 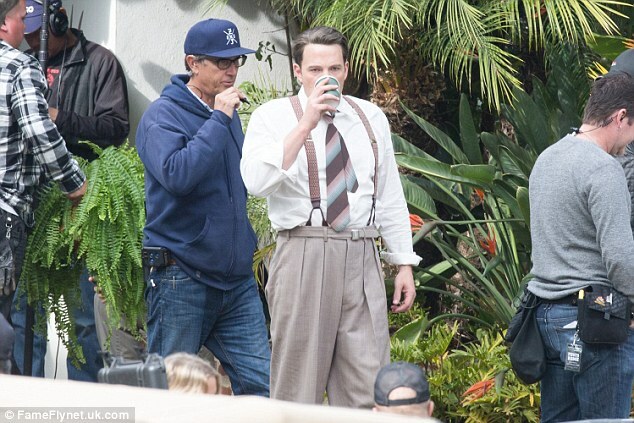 Some viewers complain that they have difficulty following the narrative because it’s not told in a linear manner and the director does not spoon feed the viewer. It’s up to you to figure out what’s going on and how these scenes are interconnected, especially the flashback scenes that show Christian’s back story as a young boy in a school where he interacts with some classmates and a teacher who turns out to have other plans for his students. There’s a big twist near the end involving the ruthless hitman played by Jon Bernthal that some viewers might buy and some viewers might think is just plain messy and unbelievable. Christian is seen driving away into the sunset like they’re expecting there would be a sequel. Director Gavin O’Connor has crafted some engaging action set pieces and also gets generally good acting from his cast, but the film feels like it has some higher aspirations that it fails to achieve. 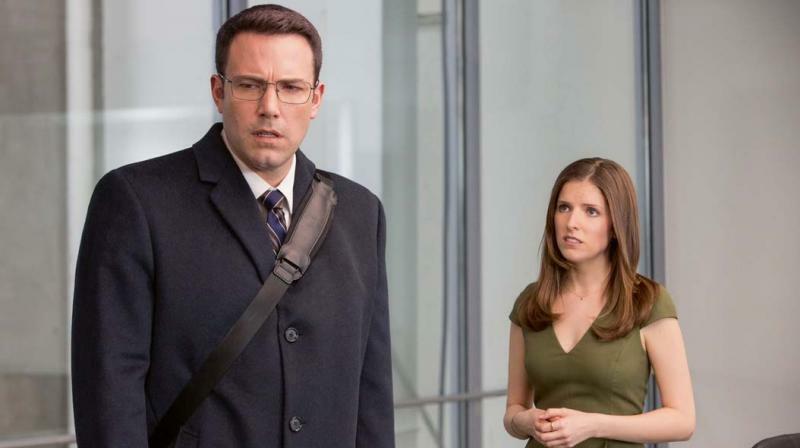 “The Accountant” might be a unique protagonist but if Ben Affleck thinks this would be his answer to his good friend Matt Damon’s Jason Bourne franchise, he might be a bit disappointed as his Accountant is not as energetic and bombastic as Bourne.